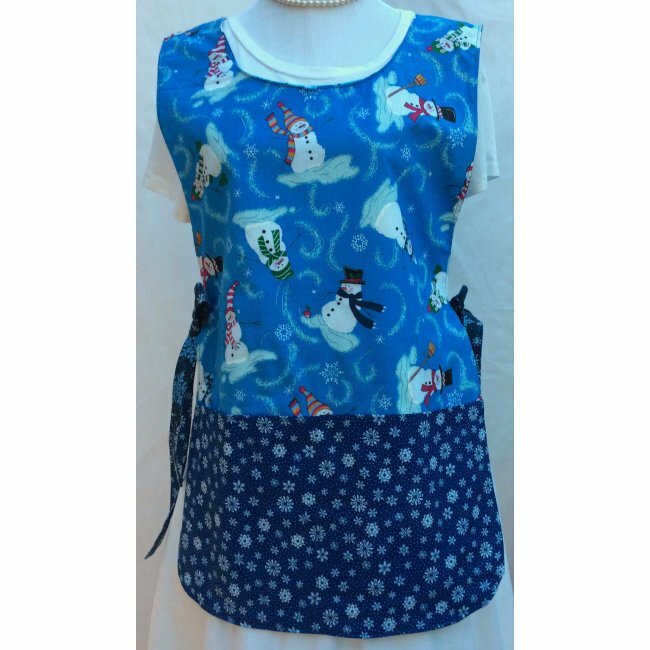 This cute snowman and winter scenic cobbler apron, can be worn throughout the winter and holiday season. Use this darling apron while baking Christmas cookies or your family's favorite holiday meals. The front side of this apron was made using a snowman print fabric. We chose to use a snowflake fabric for the large pocket. 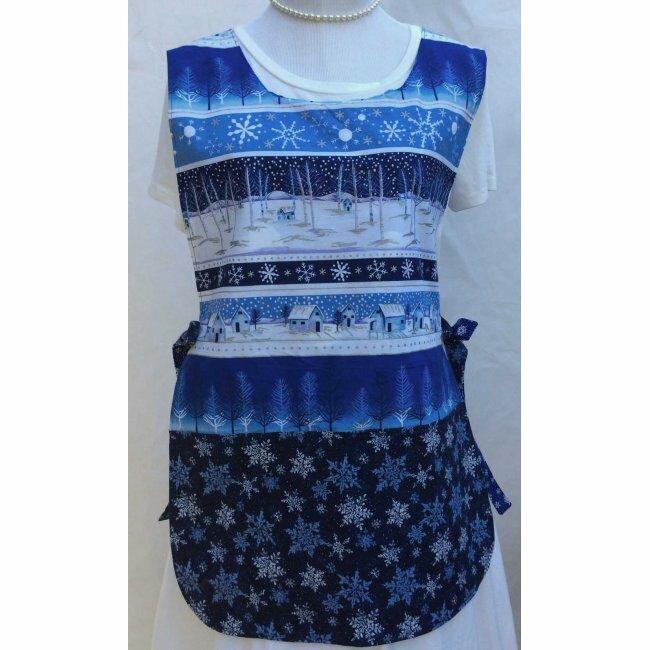 On the reverse side is an scenic winter stripe fabric design, with the snowflake fabric for the pocket. There were only two of these aprons ever made. Qualities and Measurements: Size Large to XL Cobbler Apron is preshrunk Measurement across waistline in both the front and the back is 16 1/2 inches. Straps are about 24 inches long. Apron measures 28 inches long. Two Aprons in One! Pockets on both sides are double stitched in center. A great way to protect your clothing.